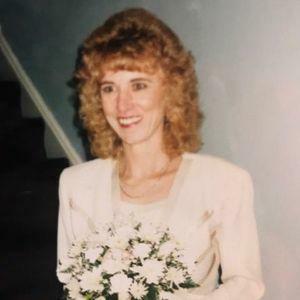 Nancy K. Baldini, 52 of Lester passed away Sunday March 24, 2019 in her home surrounded by her family. She was born September 30, 1966 in Darby to the late Howard & Henrietta (Johnson) McWilliams. A loving mother and longtime employee of the Delaware County Courthouse, Nancy was dedicated to her family, friends, and her career. She enjoyed doing arts & crafts, swimming and gardening with her grandchildren. She never missed a family party or wishing you a happy birthday. In the years leading up to her passing she enjoyed boating with her husband, going to the beach, watching tv and playing with her beloved dog, Dash. Nancy was predeceased by her brother Donald Rugh. Her survivors include loving husband Stephen Baldini; Daughters, Stacey (Jim) Bissell, Katie McWilliams, Heather Baldini (George Kauffman) and Jackelyn Baldini; Son she always wanted, Daniel Rugh; Grandchildren, Jada-Lyn Baldini, Layla Baldini, Mason Bissell, Crusher Bissell, Brandon Bissell, Katie Bissell, Aubrey Kauffman, and Emma-Rae Kauffman; Siblings, Thomas Rugh, James Rugh, Buddy McWilliams and Michael McWilliams. Interment in Arlington Cemetery, Drexel Hill. Please share your memories of Nancy.